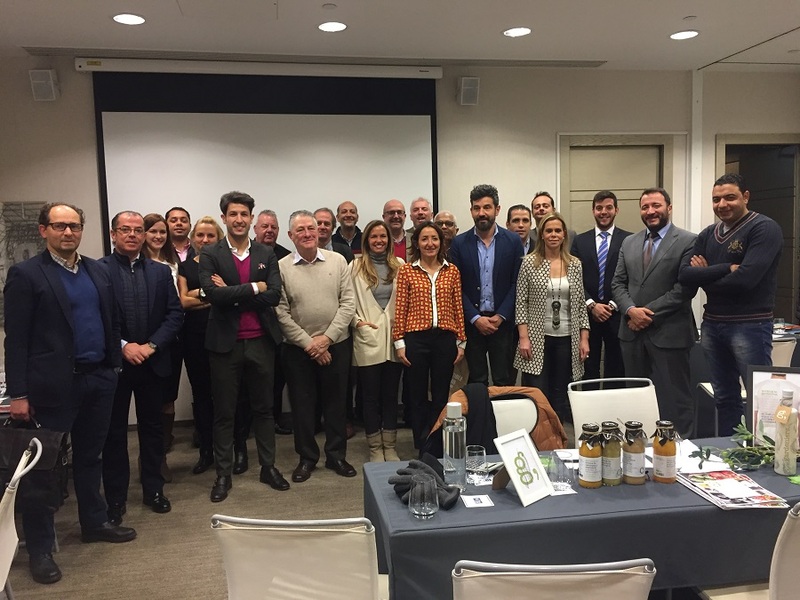 Fruit and vegetable exporters from Spain, Egypt and Poland seeking to raise their profile in the UK market took part in a trade mission organised by TradexFirm International in London last week. Among the companies taking part was melon and watermelon exporter Caridul, which is looking to introduce its premium Piel de Sapo melons in the UK, where the variety has been gaining market share in the past two years. “We already ship to France, Portugal and Germany, as well as supplying leading retailers in Spain, and think the time is right to bring our melons to British consumers,” said the company’s commercial director Angel Palma. Guillermo Soler from the Orri Running Committee was also there to promote the Israeli-developed protected mandarin variety. Spanish volumes for the current season are forecast to reach 3,500 tonnes with production projected to rise sharply as trees mature, reaching a ceiling of 80,000 tonnes by 2020/21. Among the most innovative companies taking part in the event was Gardeniers, a Zaragoza-based producer of fresh organic vegetables and artisanal products that employs young people with intellectual disabilities to help them to live independent lives. The company supplies specialist organic stores in Germany and Denmark and is looking to break into the UK market. “Consumers in the UK have a very high degree of social and environmental awareness and we therefore think our products are an excellent fit for this market,” said Jesús Soto, president of Atades, the organisation that runs the project. And has been providing permanent employment to local people with mental disabilities for over 50 years. At present the company exports around 600 tonnes of fresh vegetables a year but has the capacity to scale up its production as demand increases. Murcian grower-exporter Vasaki Ibérica was another company keen to increase its presence on the UK market. “We currently have three clients here and are looking for another two,” explained Celia Sánchez. With an annual output of 12,000 tonnes of table grapes, stonefruit, kaki, iceberg, broccoli and other vegetables, the company’s strategy is to limit its client base in order to ensure that it maintains a good service.